Karol Nowak is the lead Migration Agent at Nowak Migration. 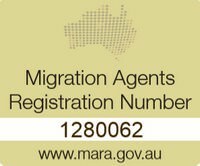 Use his knowledge of Australia’s migration procedures to offer advice or assistance to a person wishing to obtain a visa to enter or remain in Australia. Karol Nowak is a Graduate in Australian Migration Law and Practice. He holds Master of Science in Engineering degree. Karol knows all the migration aspects from his own perspective as he is a migrant himself. Additionally, Karol Nowak knows all the migration aspects from his own perspective as he is a migrant himself.